The construction industry is closely integrated with the rest of the economy and has a substantive impact on sustaining general economic growth. Recent evidence regarding productivity performance in the construction sector has mostly relied on macroeconomic data (aggregated at the industry-level) and found productivity growth to be stagnating (see BRANZ Reports 2010-2018; PwC, 2016; Tran, 2010). It is possible that these results might be caused by quality issues in the existing input-output measures and the inability to differentiate heterogeneous units. Using the Longitudinal Business Database, a firm-level study by Jaffe et al. (2016) found contradictory evidence that productivity in the construction sector has been rising (not deteriorating) during 2001-2013, and the speed of improvement has outperformed other comparison sectors. This work is co-funded by Housing New Zealand and BRANZ to increase understanding of the drivers of construction sector productivity in NZ and inform future activity to improve levels of productivity. It consists of two parts: (i) a comprehensive summary of recent literature regarding productivity measurement in the construction industry, and (ii) a scope investigation in the data available in NZ and a proposal of new empirical paths for delving into future analysis. Dr Nan Jiang specializes in applied microeconomic analysis centering around two themes: advanced econometric techniques in productivity and efficiency performance; and translating empirical economic research into practical policy tools through empowering large integrated administrative datasets such as the Integrated Data Infrastructure (IDI). Her research has been implemented in practice by the District Health Boards and Ministry of Social Development, as well as international clients such as the US Allegheny County. 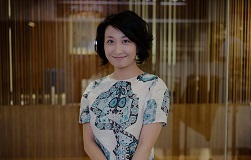 More recently, by combining her two research interests, she is developing research programs with a particular focus on the utilization of large administrative data in productivity and efficiency analysis. The sectors under investigation include hospital, tertiary education, and housing construction.